For the last couple of weeks we saw several photos of a Samsung made galaxy like Windows phone. 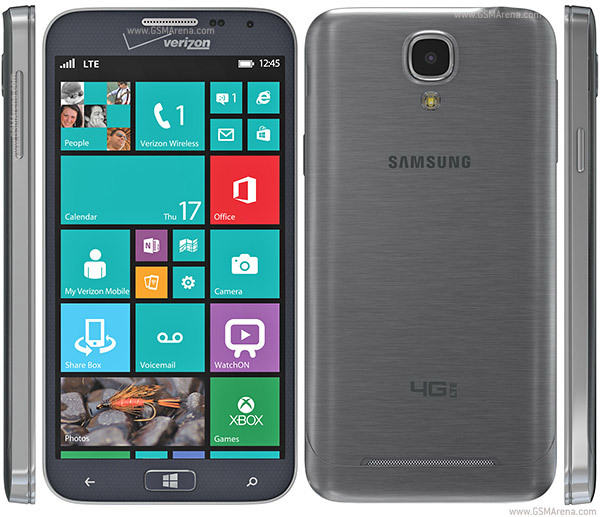 Now the device is official on Verizon US network with the name Samsung Ativ SE. the device is now up on pre-order and will be delivered on April 12, a day after the Samsung Galaxy S5. And just like with the latter, Verizon is offering a buy one; get one free deal with the ATIV SE. If you get the ATIV SE with a contract and commit to a new two year deal you can get the Galaxy S5, HTC One (M8) or another ATIV SE with no upfront cost. The Windows Phone device will set users back $199.99 on a two year deal or $599.99 without a contract. The Samsung Ativ SE has Windows Phone 8 inside with a 5-inch full-HD AMOLED display with pixel density of roughly 440ppi, Gorilla Corning Glass 3, a 13-megapixel camera, and an unspecified 2.3GHz quad-core processor (most likely the Snapdragon 800) with 2GB of RAM. It also has a 2,600mAh battery, 16GB of storage, and microSD card expansion. The Samsung Ativ SE measures 137x69.8x8.3 mm and weighs 135.7 grams. The phone is fully compatible with Verizon 4G LTE network. Being a Samsung phone, the Ativ SE comes with a heap of "exclusive" features on top of Windows Phone. The most-notable of these are an infra-red blaster, which when paired with a remote control app allows you to control your TV, and "Ativ Beam" software for sharing files with other Samsung devices — including Android phones and tablets — via NFC. It comes with Microsoft Office Hub that enables users to work on Microsoft Word and Excel, edit files and sync from the cloud. Xbox Live also comes built-in with the device. Hit the link to see the phone on Verizon showcase. It looks appealing to me!